Heinen’s and Giant Eagle both provide rewards just by grocery shopping at your favorite supermarket. Register and use your Heinen’s and Giant Eagle rewards card to automatically accumulate reward points for CCA. The more you spend, the more reward points CCA receives to purchase materials for the school. Heinen’s: register your Tasteful Rewards Preferred Card at heinens.com/home/tasteful-rewards. 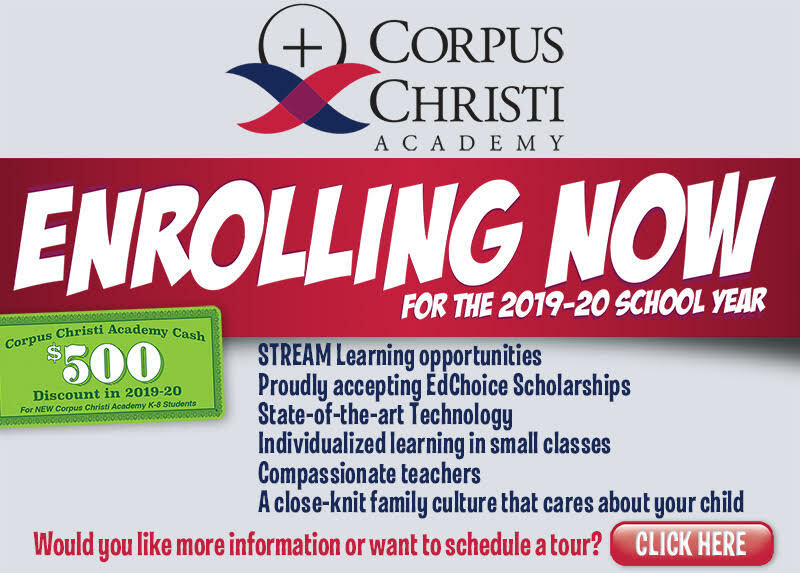 Select our school Corpus Christi Academy. Box Tops for Education: Each month’s collection due date will be around mid-month. Please send your box top in a ziploc bag labeled with your child’s name, grade and number of box tops enclosed. We cannot accept expired box tops so please check the expiration date. Please cut out the box tops to eliminate the amount of cardboard that will be sent through the mail. You can also deliver Box Tops to the school office.